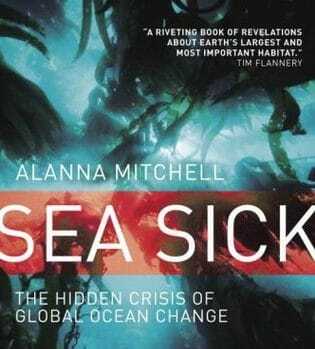 Sea Sick, Alanna Mitchell’s critically acclaimed and Dora-nominated production about hte state of the global ocean, premiered at The Theatre Centre in 2014 and has since toured around Canada and the world. On Monday November 12th, Sea Sick is coming to the Northern Lights Pavilion. Doors open at 7pm, performance starts at 7:30pm. Tickets are $25 per person. Purchase online and then pick your ticket up at the Food Hub at Abbey Gardens anytime during regular business hours or at the door on the night of the event.